The Journal Evaluation Worksheet is a guide for you to follow on your journey to better health. You have journaled for at least a few days, and have seen some patterns, behaviors, food problems, and different areas that are high risk. Please record your observations on this sheet under each section. (PDF form to download coming shortly!) As you become aware of your problem areas, you can begin to develop some new Healthy Diet Habits to make lifestyle changes for better health, or to lose weight. You may see that you really need to work on emotional eating, or figure out how handle a trigger food, or that you have no planned snacks. 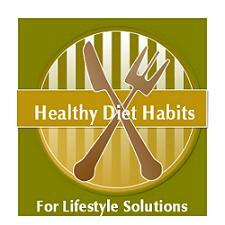 It just helps to give you an overall picture of your eating habits, and where you need to go to seek help! Most of the time, I skip breakfast. I do not include snacks. Most of my calories are after 6pm. See Night Time Eater! I eat while watching TV. See Mindless Eating! I eat half of my meals at fast food restaurants. I eat no fruits or vegetables. I eat mostly processed foods. I do not every eat any whole grains. The more you know of why, where, when, and how you eat, the more you can develop Lifestyle Solutions, and Healthy Diet Habits.